RegenAG® is a community based family enterprise committed to helping regenerate Australia’s farms, soils, communities and on-farm livelihoods. RegenAG provide farmers, professional organisations and communities with education, training and consultancy opportunities to learn from the world’s most innovative and effective regenerative agriculture practitioners in a wide range of fields. 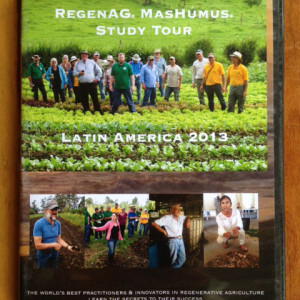 RegenAG® is a family based community enterprise. We live in a rural farming community that faces the same struggles that rural communities are facing all over our country. Our professional expertise was born out of our desire to help rural Australian communities to be economically, environmentally and socially healthy into the future in order that there remain viable opportunities in rural communities for our children and future generations to live and farm. In the face of industry pressures, rising input costs, declining soil health and climate change we are firmly on the farmers side and are completely dedicated to equipping farmers and land managers with the education, skills and knowledge required to independently regenerate their farms, soils and on farm livelihoods. We only offer cutting edge proven regenerative solutions from the world’s best land management and farming practioners to reduce input costs and build soil health for increased productivity, profitability and regenerative environmental outcomes. Our clients and partners are as equally passionate about high quality produce, soil health and fair financial returns for farmers as we are.